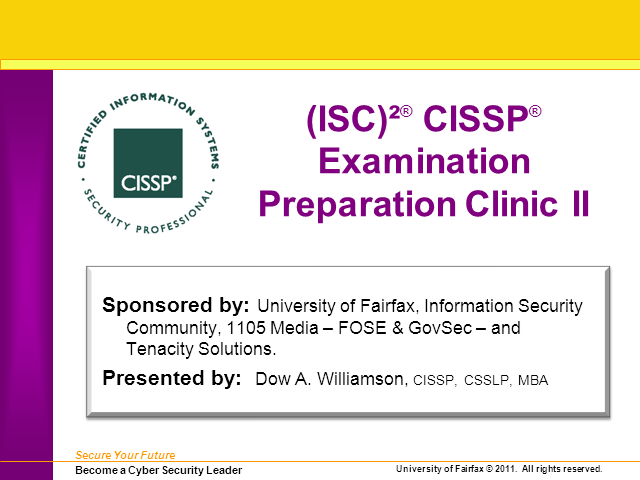 If you have been studying for the CISSP exam, you'll want to attend the second of these two live online CISSP Exam Prep Clinics taught by a leading (ISC)2 instructor. You will discover strategies to increase your chances of success! You will learn techniques to help you quickly assess which questions to address first, which to delay answering, and how to eliminate the less likely answers. The Clinics include tips for all 10 domains covered in the exam. Register today and move closer to your goal!